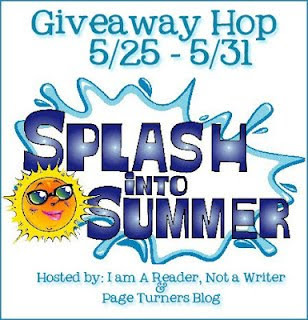 The Splash into Summer Giveaway Hop is hosted by I Am a Reader, Not a Writer and Page Turner's Blog. It will run from May 25 - May 31. This contest will end on May 31 at 11:59 central time. I will announce a winner a few days after. I would choose Beautiful Darkness just because I have been meaning to continue the series! Ooh, I like that chose of 'Bittersweet' - I really enjoyed that book. Not exactly sure what I would choose, but a nice beachy contemporary one sounds good. I'd chooose That Summer by Sarah Dessen. Thanks for the giveaway! The Secret Intensity of Everyday Life by William Nicholson. Insurgent by Veronica Roth so that I wouldn't have to wait months to get ahold of it from the library. It's a pretty popular read! Thanks for the giveaway! I would so love to have Anna Dressed In Blood. I would love a copy of THE GIRL WITH A DRAGON TATTOO. I saw the movie and thought, no---I NEED to read and own this book! And the series! I would choose either Graceling, Under the Never Sky, or Pretty Amy. Thanks for the giveaway, I hope you have a great summer. I'd pick While he was away. I would probably get Sweet Evil. hm...maybe iam choose a sarah dessen books or jennefer laurens books. thanks for making this international,,success for you.. I would choose Underworld by Meg Cabot. Thanks for the chance to win! I'm after The Killing Moon by J.K.Nemisin among others :) Thank you for the giveaway! I would love Wicked Nights by Gena Showalter or Once Burned by Jeaniene Frost. I would probably choose The Golden Lily by Richelle Mead or Carnival of Souls by Melissa Marr; I'm dying to read both of them! I'd choose Die for Me by Amy Plum. Thanks! Not so sure yet... but I think Second Grave on the Left would be my first choice. I'd probably choose "The Boy In The Suitcase" by Lene Kaaberbol or "Fever" (Chemical Gardens Trilogy #2) by Lauren DeStefano. they're both great choices, and both within the price range allotted (woohoo). Thank-you for a wonderful giveaway! I would love Sweet Evil by Wendy Higgins. I'd choose Fearscape by Simon Holt. I'd probably choose Taste by Kate Evangelista. I'd choose Shadow Blade by Seressia Glass. Thanks for the giveaway! Maybe Insurgent? Or one of the J. D. Robb In Death series books I have on my wishlist? I think I might pick Greta and the Goblin King. Thanks for the giveaway. 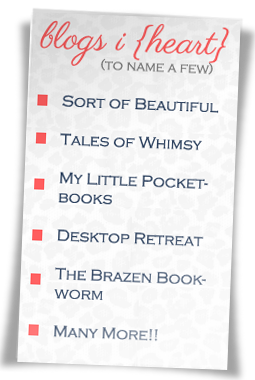 I would like to win "The Sweet Life of Stella Madison", by Lara M. Zeises. Rules of Attraction by Simone Elkeles. :) Thanks for this! Insurgent by Veronica Roth! I haven't read it yet, and the suspense is killing me. If pre-orders is ok I would love The Golden Lily else I would love The unbecomming of Mara Dyer. Thanks for the giveaway! I'd probably choose Croak by Gina Damico. I'd probably choose either The Scorpio Races by Maggie Stiefvater or The Unbecoming of Mara Dyer by Michelle Hodkin. Thanks for the giveaway! I'd choose Shift by Jeri Smith-Ready. I would say a preorder of Thirteen by Kelley Armstrong! I soooo cannot wait to read that finale! <3 Thanks for doing the hop! I would probably choose, Dreamless by Josephine Angelini. Thanks so much for the chance to win! I so need to find time to stalk your wonderful blog again, ugh! Why is life getting more and more busy with every day ;( I miss talking to you!!! I think I would choose the Immortal rules. 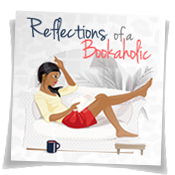 Thank you for being a part of the hop-splash-into summer bloghop, and the great giveaway. i would choose Candace Clavert's Trauma Plan if i win. There are a ton of book I would have to chose from. It seems like my book list is constantly growing. Thanks for the give-away hop what a fun idea. 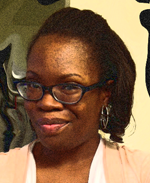 Hope you hop on by and see what I have been reading and cooking. I think I would probably choose Thirteen by Susie Moloney. I've been wanting to read it forever! I think i would choose The Necromancer Book 4 in The Secrets of the Immortal Nicholas Flamel!! In read The Sorceress right now! I think I would choose 'United Breaks Guitars' by Dave Carroll. I'm fascinated by the whole story surrounding what happened with Dave and the guitar that United Airways refused to replace after breaking. Right now it would be Volume 19 of 20TH CENTURY BOYS by Naoki Urasawa. I'd probably go for Sorta Like a Rock Star by Matthew Quick. It looks really good! I think I'd love to read Masque of the Red Death, one of my favourites as of now ;-) Thanks!!! Golden Lily- I feel like I have been waiting forever for it to come out! Thanks for the giveaway! I would chose Vampires Kiss by Veronica Wolff! I would choose The Inn At Rose Harbor by Debbie Macomber.Thanks. Great giveaway! I would choose Entwined by Heather Dixon! Thanks! Thanks for the giveaway. I think maybe The Leftovers by Tom Perrotta. Hope you wíll have a good summer! I clicked much too fast on the free entry.. I hope it's no problem? I think I'm going to pick Enchanted for Alethea Kontis! I would get The Art of Racing in the Rain, because I've wanted it for like a year now and haven't gotten it yet! Thanks for the giveaway! Sins of Angels by Linda Poitevein is the first that come to my mind. I will choose If you see Her by Shiloh Walker. I'd like to read Matched, by Ally Condie. i really want to read Games of Thrones! I think I would pick one of the new Susan Mallery books. I would like Shine by Jerri Smith-Ready. I've had The Perks of Being a Wallflower on my wishlist for a while now. I'd get that! I'd choose Forbidden by Tabitha Suzuma, I've been wanting to read this for a long time. Thanks for the international giveaway! so many books. I would probably go with Insurgent. I guess I would choose Dreamless by Josephine Angelini! Anna and the French Kiss by Stephanie Perkins or something by Jenifer Echols. I think I would pick Beautiful Chaos! I would choose Jeneration X by Jen Lancaster! I just realized you said under $10! I would pick A Match Made in High School! I would pick Endure or underworld both are on the top of my wishlist! Thank you for the great giveaway! I'd love to win Chick With A Charm! I would choose Last Rite by Lisa desrochers!! I would choose Shadow and Bone. Thanks!! I really want to read Shift by Jeri Smith-Ready. I would choose a cookbook. I want the graphic novel of Uglies by Scott Westerfeld. I read the novel, but I really want to see his interpretation, too! Grave Mercy. I've been hearing lots of great things about it. I'd pick Daughter of Smoke and Bone. Thanks! Cinder! I really want to read that one. I'd like A Little Magic by Nora Roberts. Thanks. Probably "Hushed" by Kelley York. It was one of my favorite reads this year! Gosh, I don't know. Probably a Jill Shalvis book. Probably Embrace by Jessica Shirvington. Oh, wow...so many books, so little time! I want Midnight Velvet by Jaci Burton! Thanks for the awesome giveaway, I would choose Magic Bites by Ilona Andrews. I honestly just dont know... there are a lot on my list. Obsidian would be up there. In the Garden of Beasts by Erik Larson is the first book on my Amazon Wishlist for $10 or less! I just finished Divergent so I'd love Insurgent! I'd pick Anna Dressed in Blood. Thanks for the giveaway! I think I'd choose either Perfect Chemistry by Simone Elkeles or The Night Circus by Erin Morgenstern because it has finally come out in paperback. I'd love to have Shadow Kiss by Richelle Mead. Thanks for the giveaway! Thank you for the giveaway! I´d choose New Girl by Paige Harbison. I think I would pick one of the "Pride and Prejudice" sequels. I'd love to get Partials by Dan Wells. Thanks for the giveaway. Thank u for this awesome giveaway. If I win, I would choose Die for Me by Amy Plum.